Been following the show since around episode 30, and I have to say Edgar and Steve are the greatest. Subscribe now and listen to the old shows, you will laugh youe @ss off and learn about the latest in tech. 5 Stars! I hae been listening since about episode 15 and I love it. I keep saying I'm going to get on the forums, but istill haven't. Love these guys! If you like tech and know about it, what are you waiting for?! Download it! These 2 guys are a LOL kind of time! Nerds who blurb that are funny with still getting their point across. Like pringles once you pop you can't stop-- listening that is! This is hilarious. I don't listen for the tech but for the humor. They don't update much but it doesn't matter. They have an excellent relisten value.Don' tgo to there site right now because they had a hosting issue. but the site will be up soon. Even though the shows sometimes don't come out for weeks, it's a hilarious show. The hosts, Edgar and Steve, are really personable guys who don't mind letting you in on their personal lives, which is sometimes more entertaining than their tech talk. I highly reccomend it to anyone who wants to hear about tech/games or wants to listin to two guys talk about the craziest things. i dont really care about this but you guys have a nice camera. These guys are fantastic! They talk about whatever nerdy geekery they come across between their last podcast and the new one! Often covering the topics of Man Crushes, video games, and music they spice it up with their own special blend of comradery built over many years. If you enjoy tech, video games, and geekery in general then this podcast is for you! this is the best tech/science/nerd-life podcast ever. simple as that. 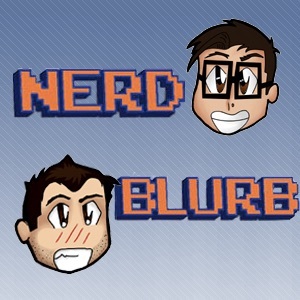 if your nerdy, geeky, wanna know more about tech + science, or are just looking for a good laugh, then nerdblurb is the podcast for you!